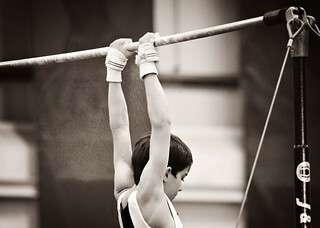 Ryan competed in the Southern Region Qualifiers today despite having an horrendous cold. He got a silver, only the second time he's come second since he started gymnastics at the age of 4. I chose this shot because I like the chalk dust fall from the bar.